On The Thrive Global Podcast, the TV power couple talked to Arianna Huffington about their ritualistic routines. 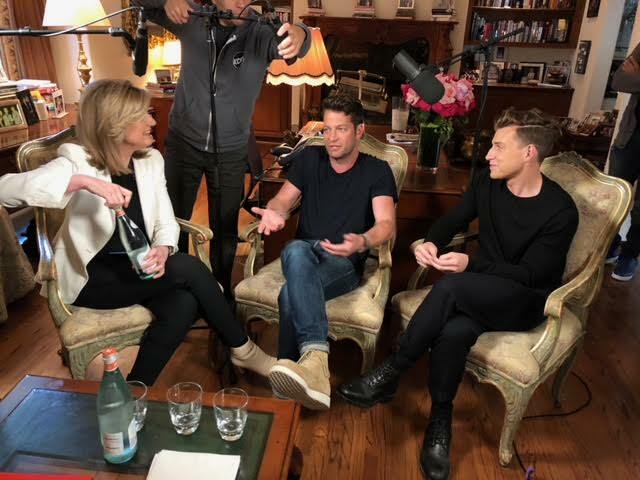 “I’m obsessed with the ceremony of things,” Jeremiah Brent admits to Arianna Huffington on Episode 19 of The Thrive Global Podcast, in partnership with iHeartRadio and Sleep Number. Brent and his husband Nate Berkus star on TLC’s Nate and Jeremiah by Design, and share a deep enthusiasm for a ritualistic lifestyle, although Brent leads the way. “Jeremiah is totally ritualistic,” Berkus shared. The couple opened up to Huffington about their strategy for staying connected, and their wellness rituals, from their stretches of peaceful silence in the early mornings to their home’s candle-lit atmosphere as the coffee brews. “The mornings are my sacred time,” Brent explained. As parents, the couple likes to ensure their home maintains a calm energy, so that their daughter can appreciate their wellness-focused routines. “The energy in our house has always been calm since day one,” Berkus said. Berkus and Brent are constantly working on managing at-home screen time, sleep schedules, and balancing their professional partnership. To find out more, listen to the full conversation on iHeartRadio, here. You can also listen to the Thrive Global podcast internationally for free on iTunes and Stitcher.